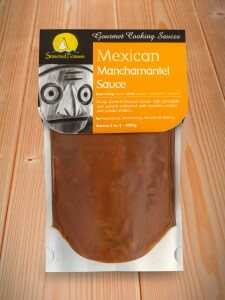 The Spanish phrase Mancha Manteles literally translates to ‘tablecloth stainer’ as it is a classic Mexican Mole (or sauce). Heat a little oil in a pan and saute the minced beef or chicken strips until lightly browned and just cooked. Pour a few tablespoons of the sauce into a baking dish to coat the base of the dish. Stir the remainder of the sauce into the cooked meat. Spoon a sixth of the mixture onto each tortilla, sprinkle over a little of the grated cheese and then roll them up tightly & place in the dish with the seam side down. Generously sprinkle the rest of the grated cheese over the tortillas and bake in the oven for 20 minutes until the cheese is golden and the sauce is bubbling. 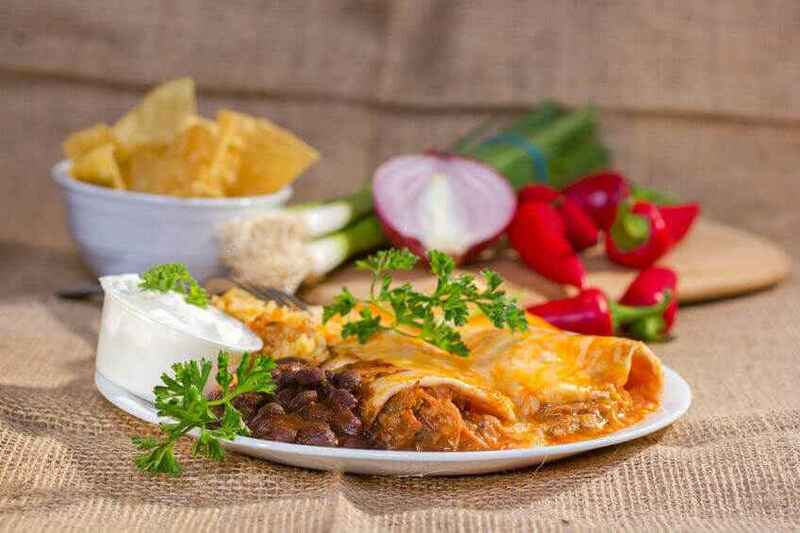 Serve with your choice of Mexican side dishes such as refried beans, sour cream, guacamole, salsa, rice, nachos or simply a great big salad then enjoy. We recommend the use of knives & forks so that you don’t stain your tablecloth!